We took advantage of the 2Fer ticket for Southern California residents when we visited Disneyland on Easter weekend. So, two weeks after visiting Disneyland during Spring Break, we came back to visit California Adventure for FREE ! This was a great deal indeed. The simple fact that we came after Spring Break made our experience a lot better than what we went through when visiting Disneyland. Again…you have to get Speed Passes. It makes the whole experience much better. 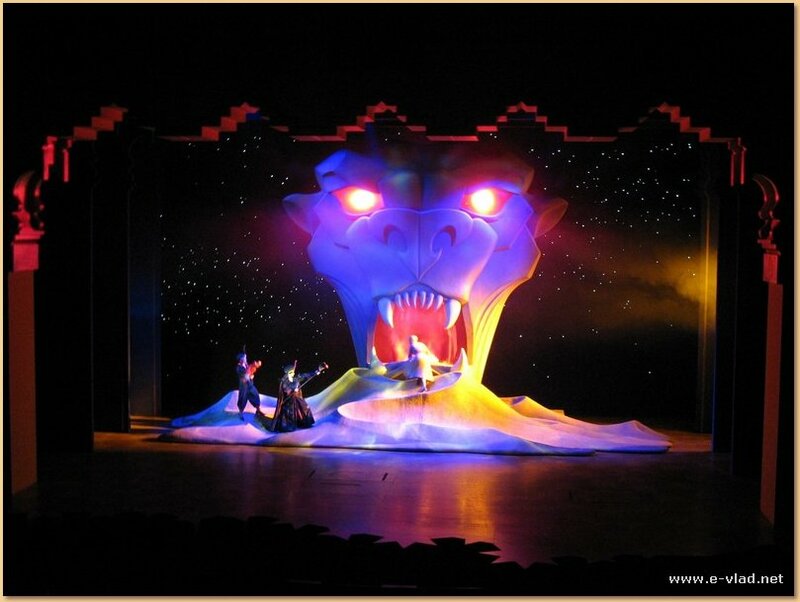 The Alladin show was by far the coolest show in the park…you’ve got to see this one. Soaring over California was the highlight for us…just a great ride! Mullholland Madness was also great…a different kind of drive. Not very fast but a very unique ride. Electric Parade was also cool to see at night. Finding directions to Disneyland is very simple…just look for it in Google Maps or Mapquest. There is even a special exit off the 5 freeway especially made for Disneyland…it’s called Disneyland Way; how convenient :) This time we went after Spring Break and the whole park was so much enjoyable than Disneyland. In addition, we received Speed Passes from a visitor from Disneyland who told us that he had to go home and he won’t be using the Speed Passes and that we could have them. Talk about being lucky ! Fewer crowds and Speed Passes made our experience very enjoyable. The Alladin Show is a combination of musical and acrobatics and very intricate choreography and…of course humor. A show must be funny in order for it to be popular, this is a must in California. The Alladin Show is a must see attraction at California Adventure Park in Anaheim, California. Don’t forget that California Adventure is also another Disney park, so it has lots of Disney characters roaming the streets. 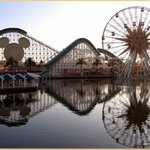 While you might have a hard time finding Mickey Mouse, Goofy and Pluto at Disneyland, at California Adventure they’re a lot more available. Your kids would love that. 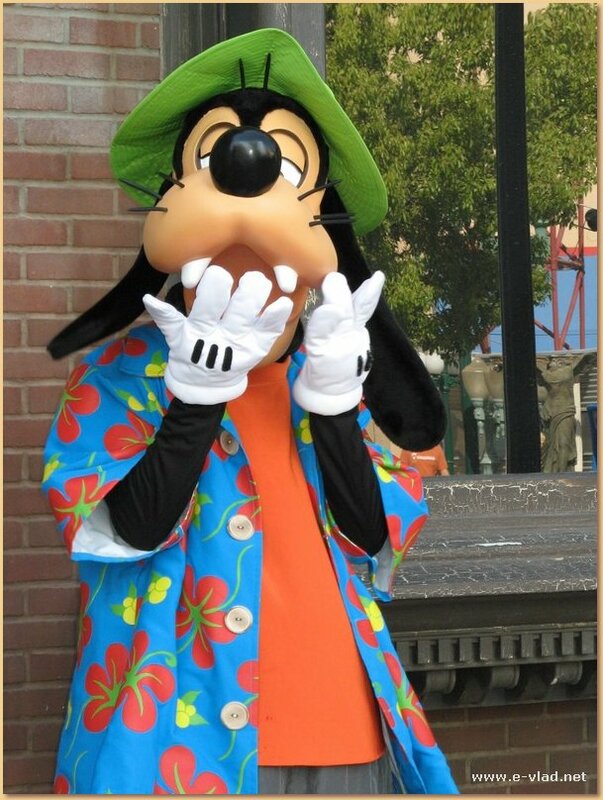 Disney characters walk the streets at California Adventure Park in Anaheim, California. Adventure Park is so much fun. I love going there, there is so much to do.